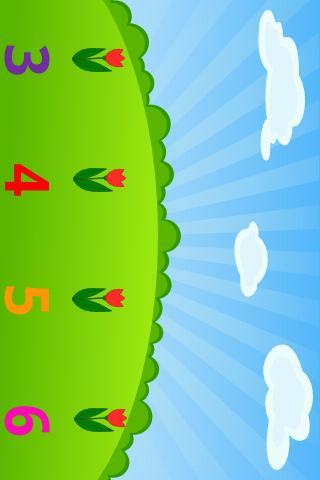 A fun way for children to learn numbers and build basic math skills. Wouldn't it be just wonderful if there was a simple game for early year’s foundation stage that made learning numbers and basic math skills enjoyable? There is! It's called Kids Numbers and Math. 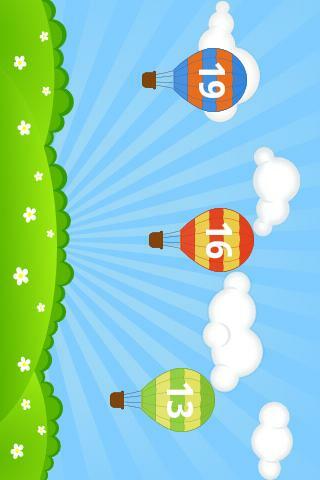 Numbers are spoken in child-friendly English, Japanese, French, German, Spanish and Russian. The paid version enables the number ranges to be set, with numbers going up to 20. ★ "I couldn't get my phone back." 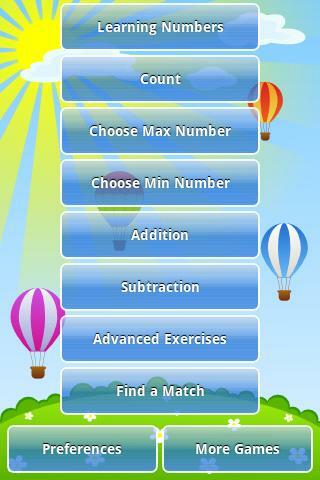 The game is from Intellijoy, where we specialise in educational games with the fun built right into them. The game does not overload children and parents with too many audio and visual stimuli. Coping with stress and over-stimulation is therefore one skill that your children won't be practicing during this game. Its clear focus makes the game a delight for children and a winning choice for parents. ✔ Children love our games. Parents love to see their preschool-aged children being both educated and quietly happy. Google noticed our great reviews and then featured and promoted our apps. ✔ We strive to give children just the right balance between education and fun. So our games don't feature fun at the expense of education – or education at the expense of fun. We also know games that are too complicated don’t involve and delight children. ✔ Make sure your phone is logged into Google Talk. Re-download the app. ✔ Restart your phone. Make sure there is connectivity. Re-download the app. ✔ Choose "Clear Data" (in Settings/Manage Applications/Running/Market). Re-download the app.